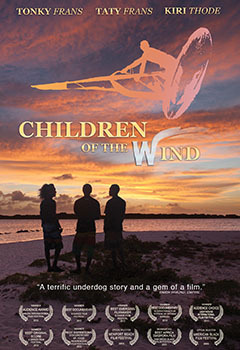 Narrated by Gbenga Akinnagbe (HBO’s The Wire; Fox’s 24) Children of the Wind tells the story of two brothers and a cousin who journey from humble fishing families on a tiny Caribbean island to become three of the best freestyle windsurfers in history. 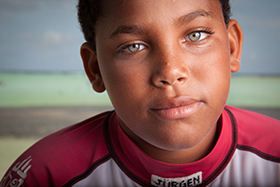 Set against the backdrop of the 2011 Windsurfing World Cup on Bonaire, the film follows the boys over fifteen years as they transform not only their island but the face of the sport worldwide. Tonky, Taty and Kiri began windsurfing before the age of ten, using whatever broken or discarded equipment they could scrounge. 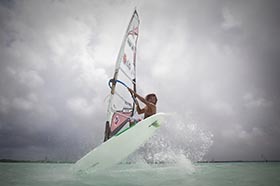 They burst onto the international scene in 2001 when, along with thirty or so other Bonaire sailors, they attended windsurfing’s North American Championship in Florida. Given the island’s economic status, just getting to Florida was an achievement in itself. Once there, they caused a sensation, taking home twenty trophies between them. Given that Bonaire has a population of under 15,000 and had, at the time, no way to fund formal training facilities, provide equipment or pay for travel to events, this accomplishment was simply astonishing. The Frans brothers and Kiri are now among the top five freestyle windsurfers in the world and have become local heroes on their island. 'Children of the Wind' is ultimately an exciting tale of kids refusing to be defined by the limits of their circumstance, and consequently changing a sport. 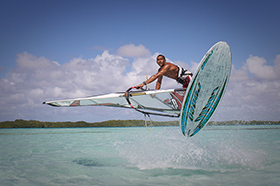 freestyle windsurfers on the predominantly all-white professional tour, the Bonaire boys had everything going against them; poverty, skin color, insulated lives on a tiny Caribbean island with no resources to help them, and surrounded by peers in the drug culture. From this they have become three of the giants of the sport worldwide and have rewritten what is possibly at the highest level. 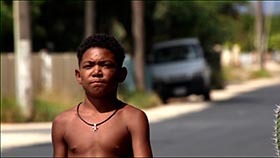 At its core, this film is about kids refusing to be defined by their circumstance and achieving the impossible through sheer determination.